Community Foundation awards $75,840 in Discretionary Grants and $38,000 in After School Program Fund Grants in the 3rd Quarter. 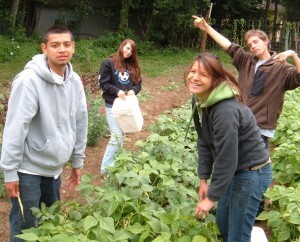 The organizations that were funded through this discretionary grants cycle include: Associated Arts of Ocean Shores for Art Supplies for North Beach Schools; Child Care Action Council for “Raising a Reader” program; Grays Harbor College Foundation for Food and Textbook support for the TRiO Program; Grays Harbor County Public Health Department for a Garden and Youth Development Program; Hope From Horses for the Purchase of Safety Equipment; Montesano Community Education for Capacity Building, Printing, Mailing and Promotion; Ocean Shores Food Bank for Renovation for Efficient Distribution; Our Aberdeen for the Mural Restoration Program; Pacific Education Institute for their FieldSTEM program; Washington Nonprofits for Plan Builders; and YMCA of Grays Harbor for an Early Learning Readiness Program. The Grays Harbor Community Foundation was also able to award $38,000 to five After School Programs here on the Harbor through a designated fund set up specifically for that benefit. Supported programs included: Central Park School, Hoquiam School District for the Hoquiam Middle School, McCleary School District, Montesano Community Outreach, and YMCA of Grays Harbor for Harbor After School Program sites in Elma and McCleary.